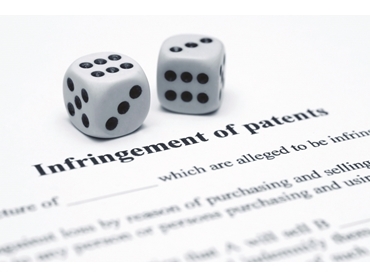 Protecting patents can be a bit of lottery. A company’s Intellectual Property is one of its most important assets, but many manufacturers are failing to protect it effectively with dire results. Alan Johnson reports. On too many occasions, Australian companies are spending a considerable amount of time and money to develop an exciting new product only to see that same technology turn up, sometimes just weeks after its release, often at a lower price point but with far inferior quality. Some counterfeiters are even game (or lazy) enough to copy the company’s colour scheme and logo. Nothing is ever foolproof, but there are a number of strategies manufacturers can adopt to severely restrict other companies stealing their Intellectual Property (IP), as Bruce Grey MD of Advanced Manufacturing CRC (AMCRC) explains. “Whether a company takes out a patent or not, depends on whether it’s serendipitous or whether it’s part of a conscious and thought out strategic use of IP. “In the CRC we see everything from single inventors to companies who take a casual approach to IP through to companies who are very focused on it. “If a company has a formal innovation process, they generally have a clear idea on where the technology is heading and are trying to identify white space opportunities to get strong patents,” Grey told Manufacturers’ Monthly. However he explained that there are patents and patents, saying some are much stronger than others, which nearly always depends on the inventive step. “Some companies overdo the patenting approach and try to patent everything, and artificially create a position. Grey said companies need to have in-depth knowledge about the particular field they are in. “For example, when I was at Bishop Engineering around 20 years ago, our focus was on automotive steering. “We looked at where it was heading, and it was clear that it was going to move away from hydraulic activation to electronic activation, because it meant better fuel consumption and was more logical. “We did technology road maps and saw that electronics was going to become very significant in passenger motor vehicles in the future, and worked out the problems people hadn’t anticipated with electronics coming in. “So we looked at steering which was an area we knew very well and realised that no one had thought about how they were going to measure torque, so we did IP landscape mapping to see who was doing what. “We considered the different ways of measuring torque and looked at what IP was being filed in those areas. We were able to lodge patents that were very strong because the inventive step was very strong,” Grey said. Grey explains that during the R&D process, companies often recognise that there are several ways to solve a problem and file patents on the three most promising options, for example. “This is a well used strategy. They continue to do R&D on all three then discard the weaker approaches, and focus on the stronger approach. “The wonderful part of the IP system is it’s back-end loaded in cost, so while the company is doing its R&D they can be filing many patents to establish a priority date, and as the filing date comes up, when the cost of filing and maintaining the patent increases, they can decide whether to keep it or discard it,” he said. However, with cost of protecting a patent sometimes very high and not always successful, Grey says many companies adopt a speed to market approach and don’t bother taking out a patent at all. “Rather than spending money on IP, they move very quickly in the market. “It’s a valid strategy, but the company has to have its eyes wide open and recognise the difficulty of bringing a product to a global market quickly. “Some companies use this strategy, but if you look at the major players in the global market they are very focused on IP,” Grey explained. “What we teach in our Innovativity program is to have a strategic approach to IP and to build a strong position. That might mean taking different approaches to IP. “For example, it might mean keeping the IP secret rather than filing a patent, which is a very legitimate strategy. “We did that at Bishop when we developed some engine technology for the Formula 1 industry. He said the company did a lot of development over 10 years without filing one patent. “We knew it would take time, so delaying the filing date meant that we maximised the commercialisation time. “The prime message is to look strategically at IP, because it doesn’t have to be expensive,” Grey said. For companies who suspect their IP rights are being infringed, it is important to pursue it vigorously and make sure any infringer knows you are serious about protecting your IP. Delay could also jeopardise a company’s legal rights to obtain an injunction. Sending a letter outlining the problem is one option, however experts in the field suggest surprise may be the best tactic in some cases. Giving the infringer notice of a claim gives them time to hide or destroy evidence and prejudice a case against them. In these circumstances it might be appropriate to go to court without giving notice to the infringer. The court has the power to order an interim injunction, which may be an order that the alleged infringers stop their infringing action pending the outcome of a trial (which can take many months). Grey says it all depends on the IP breach and how strong the patent is, but admits even the most experienced companies that file patents can make mistakes. “When at Bishops we got it wrong on a manufacturing process for slotting power steering valves. “In hindsight, we should have patented the tool holder, which was quite unique in shape. We patented a lot of other things around the process but we missed that particular aspect. “However, while we were able to get compensation from a company who copied the holder, we weren’t able to stop them from manufacturing it,” he lamented. Grey says this is a common problem, with many companies not realising what innovations they have developed. “In general, Australian companies are very naive to IP. For example, as a company grows it is important that their employee contracts are crystal clear to incoming employees that anything that they create is the company’s property. “It’s the same with collaborative R&D, it is important to make sure the IP approach is clear,” Grey said. While China has made a lot of noise in recent years about recognising other companies’ IP, Grey says it is still an issue. Grey says the biggest problem with China is that its legal system is totally different to the Western legal system. “It’s somewhat capricious. You can spend a lot of money, and still not be clear what results you are likely to get. “But as China is a member of the WTO, progressively they are being drawn into the global system,” Grey said. However, Jason Furness, CEO of Manufacturingship, says it’s not just the Chinese who infringe another company’s IP. “There’s a lot that goes on inside Australia,” Furness said. Furness says many Australian companies don’t patent their designs early enough. “One of the ways companies give away their IP is that they commercialise a product before taking out a patent on it to protect it. “They should be aware that once a product is in the public domain, it’s too late to take a patent out on it. They can’t go backwards,” he explained. Furness also said many Australian manufacturers don’t bother filing a patent, thinking everyone knows about it, when in fact they don’t. “As soon as a person or company has that flash of brilliance, they should visit www.ipaustralia.gov.au or talk to a patent attorney, and at least understand how their IP can be protected. “Unfortunately, we don’t do a great job of protecting our IP in Australia,” Furness said. Furness admits the patent process is not cheap, or quick. “That’s where it is important to get the right legal advice from the very beginning. “One local mid-sized company was recently successful in taking a local chain to court because they were importing a competitive product that breached their IP and also didn’t meet the Australian Standards. The key, says Furness, is to get the right advice, and the earlier the better. He admits it all takes time. He says one alternative is for companies to keep upgrading their products to keep ahead of their competitors, and counterfeiters. “If the old technology is made obsolete by your new technology and you have enough pipeline going forward, then it’s a viable strategy in some cases. “However you might be giving up an income stream on the older technology for nothing. “The answer to all this is ‘it all depends’ and will be unique for every client,” he said. Another option, Furness said, is registered design. “Many car companies, when they release a new model, register the design rather then pattening it as a new product.